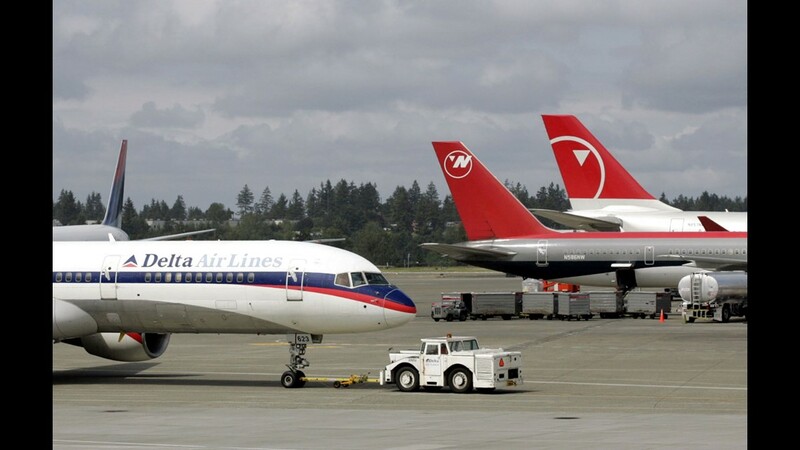 A Delta jet is pulled into position at left next to aircraft operated by Northwest Airlines at Seattle-Tacoma International Airport on June 2, 2005 file photo in Seattle. 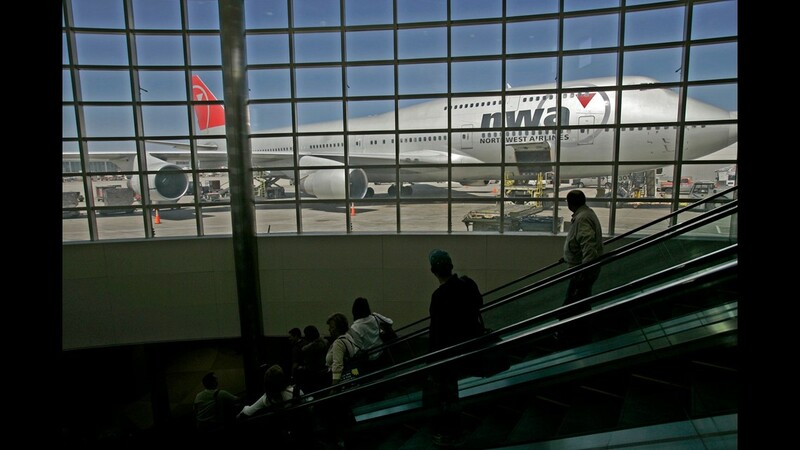 In this April 15, 2008 file photo, a Northwest plane sits parked at a gate as travelers pass by on an escalator at Detroit Metropolitan Airport. 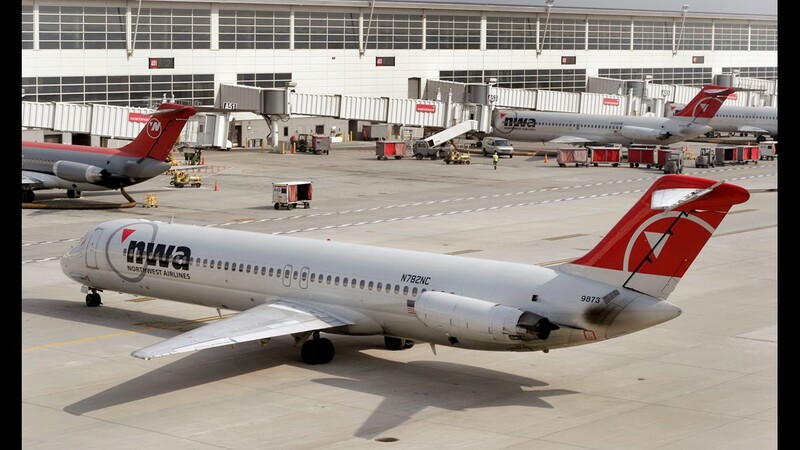 Northwest Airlines planes are seen at the Detroit Metropolitan airport on Dec. 26, 2009. Delta Air Lines was among the first to fly the Douglas DC-8. This late-summer ad from 1959 introduces the soon-in-coming jet. 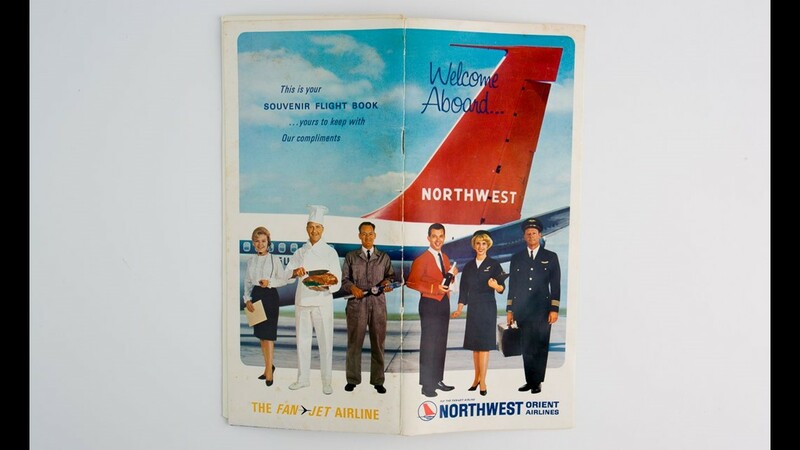 A Northwest Orient Airlines 'Welcome Aboard' booklet from the early 1960s. 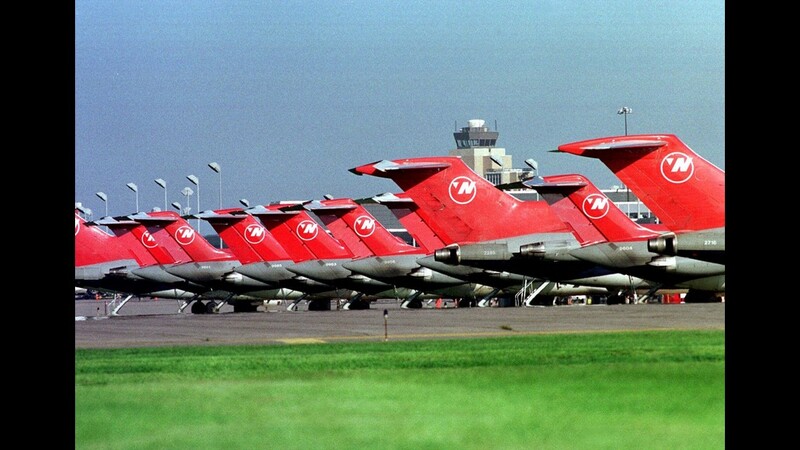 The Minneapolis-St. Paul International Airport control tower stands in the background as Northwest Airlines jets sit lined up on the tarmac near a hangar, Aug. 29, 1998. 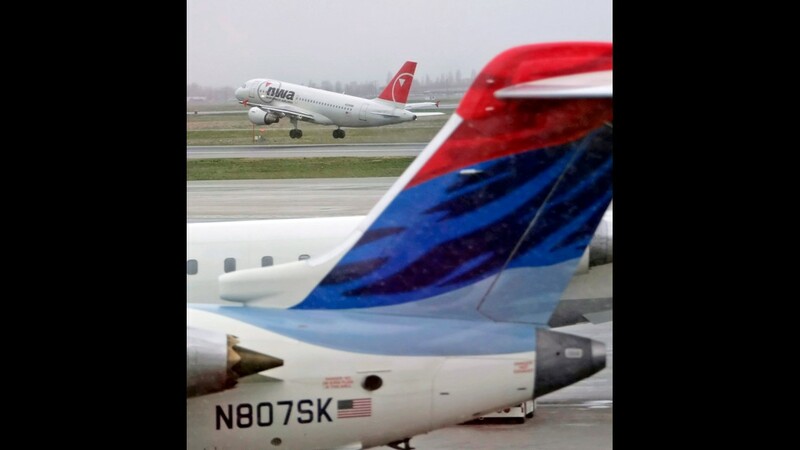 An undated photo shows planes in both Delta and Northwest liveries. From 1962, a Delta Air LInes ad touts the airline's Convair 880 jets. The airline took its first jet in 1960. 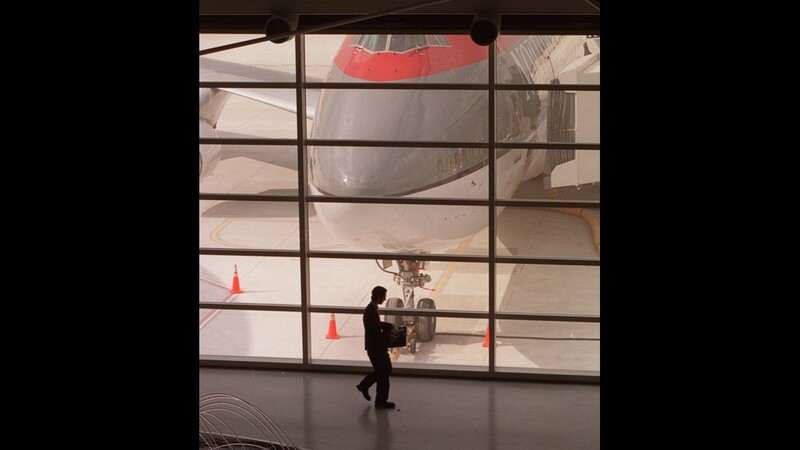 A worker walks past a Northwest Airlines jet parked at Detroit Metropolitan Airport's then- new midfield terminal on Feb. 15, 2002. 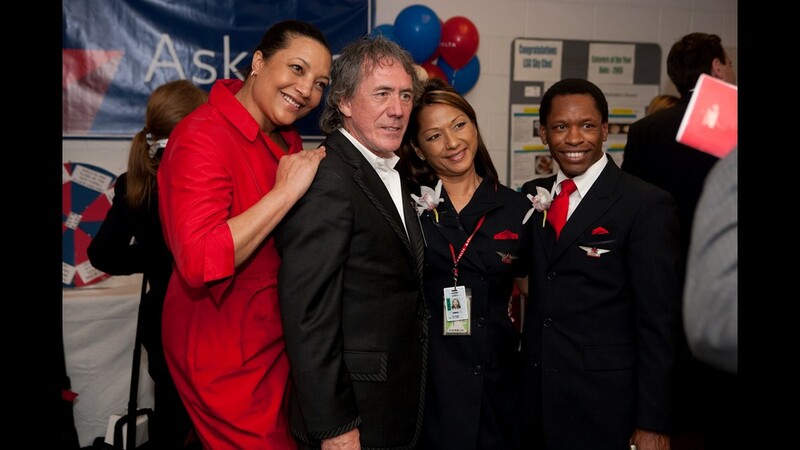 Delta uniform designer Richard Tyler meets with Minneapolis/St. Paaul Northwest employees during uniform fittings following the merger. 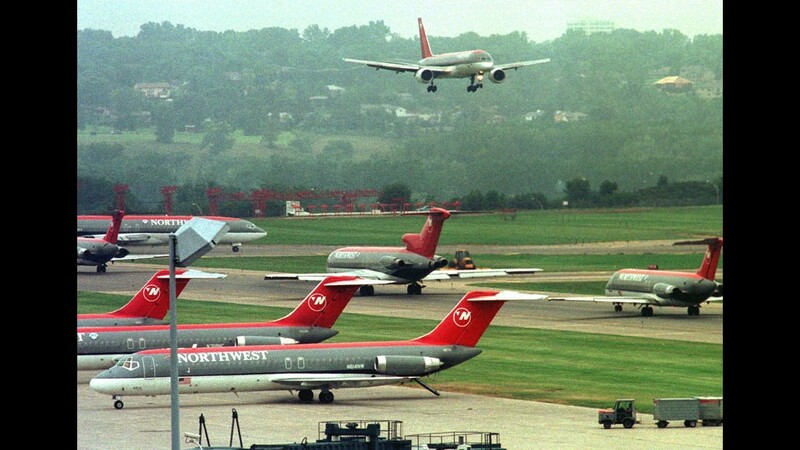 A Northwest Airlines jet lands at Minneapolis-St. Paul International on Aug. 17, 1998. 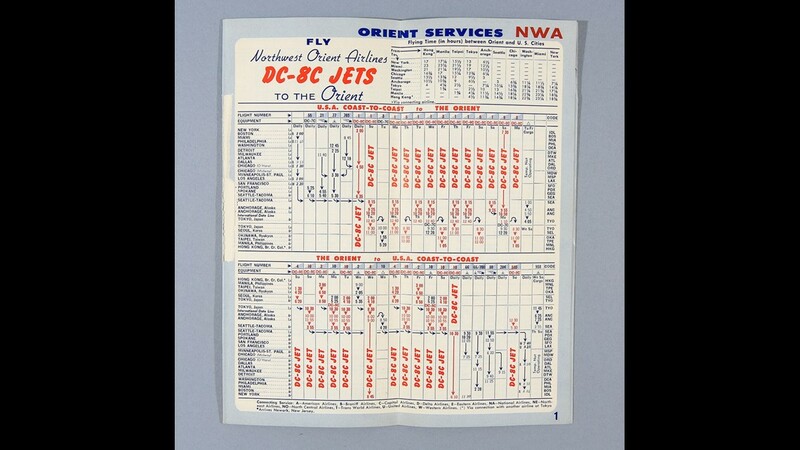 Northwest Orient introduced the Douglas DC-8 in 1960. This route map shows the jet's routes in April 1961. 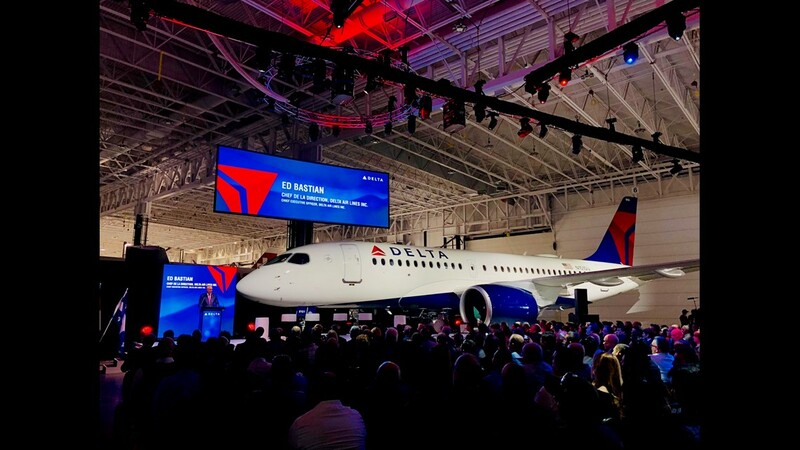 A look at Delta's first Airbus A220 upon its delivery from the A220 assembly line near Montreal on Oct. 26, 2018. 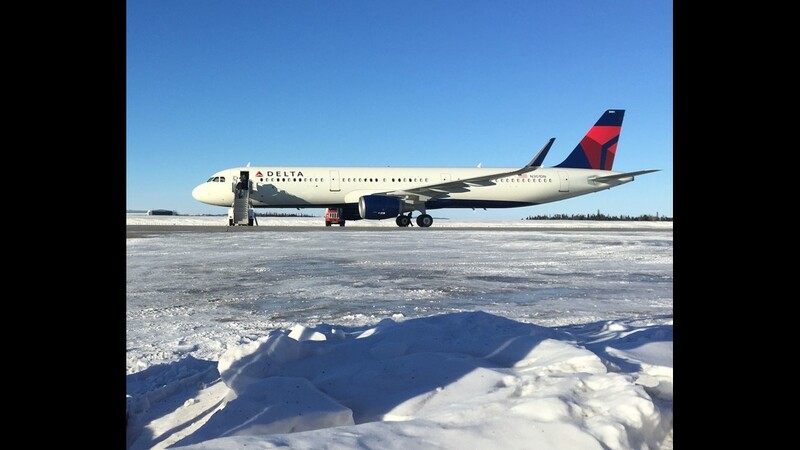 A Delta Air Lines Airbus A321 sits in Gander, Newfoundland, in Canada as it was delivered to Delta from an Airbus assembly line in Europe in 2016. 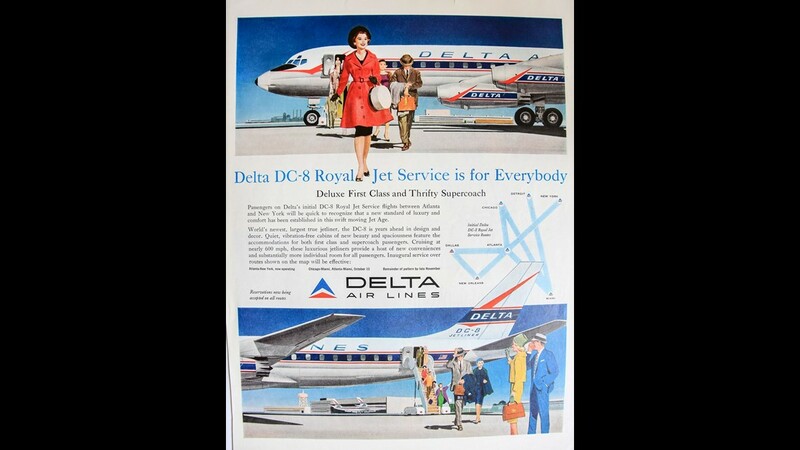 Delta Air Lines introduces Royal Jet Service in the 1960, one of the first times the famous Delta Widget logo made an appearance. 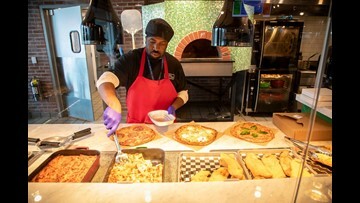 The service was rolled out on board the airline's Douglas DC-8 and Convair 880 jets. 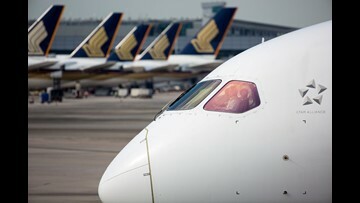 Two cabin service was standardized in 1962. This ad is from 1960. 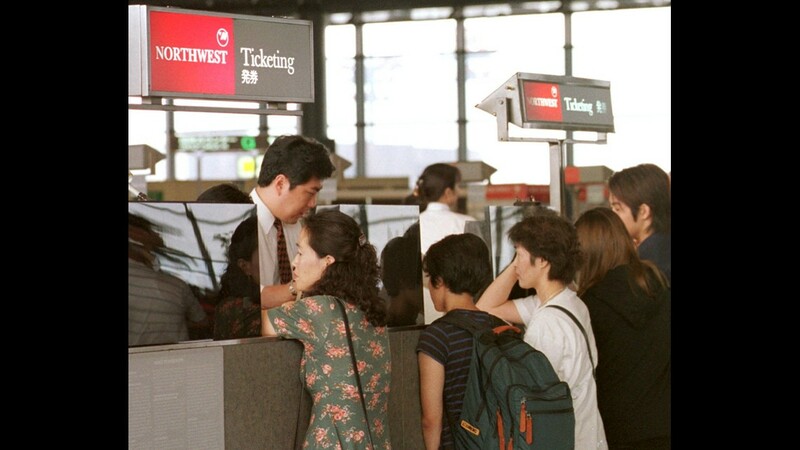 Travelers crowd the counter of Northwest Airlines at Tokyo's Narita on Aug. 30, 1998. 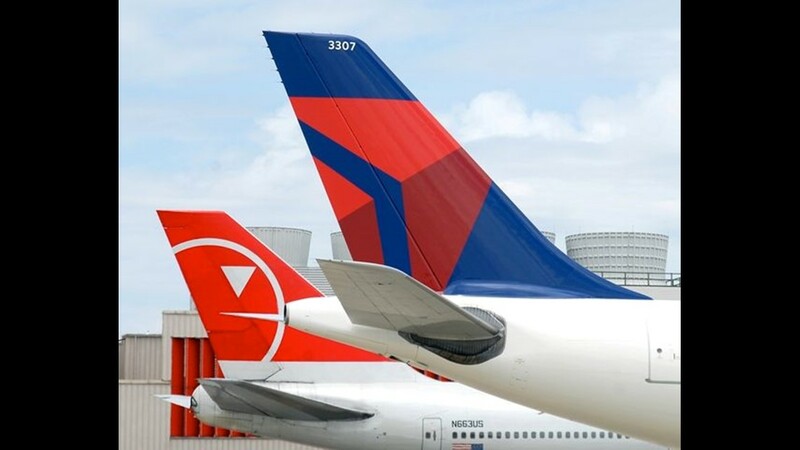 An undated photo showing tails of Delta and Northwest aircraft. 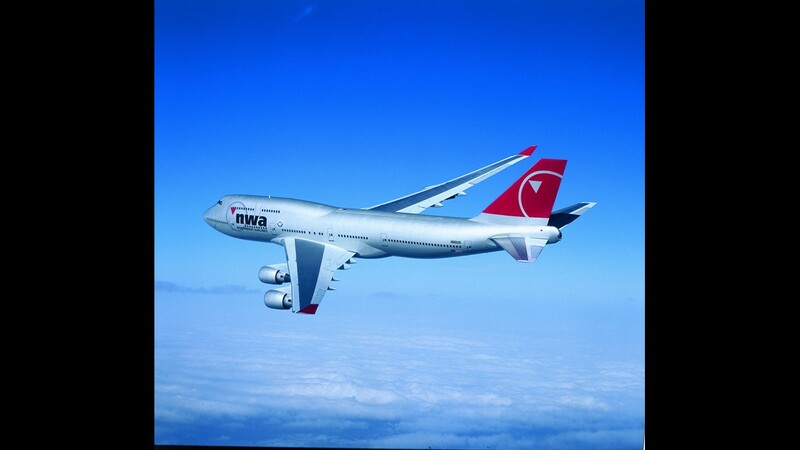 An air-to-air view of Northwest Airlines Boeing 747-451 (registration N661US) It was the first 747-400 built and flown by Boeing. 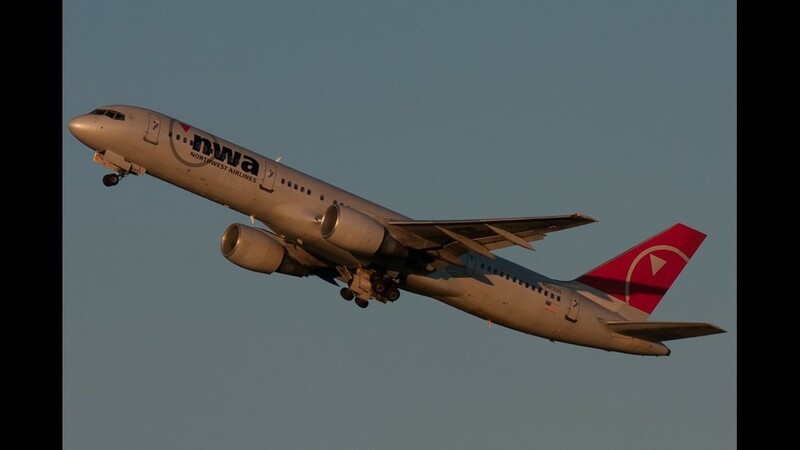 A Northwest Airlines Boeing 757 departs Boston Logan International Airport in September 2008. 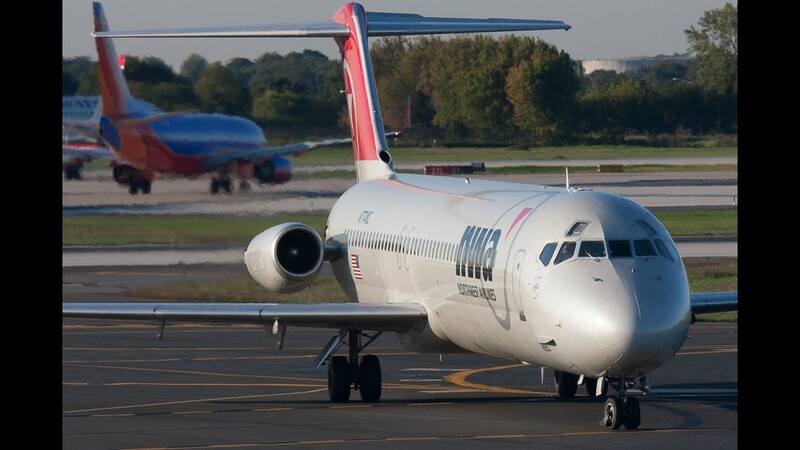 A Northwest Airlines Douglas DC-9 jet taxis to the gate at Philadelphia International Airport in October 2008. 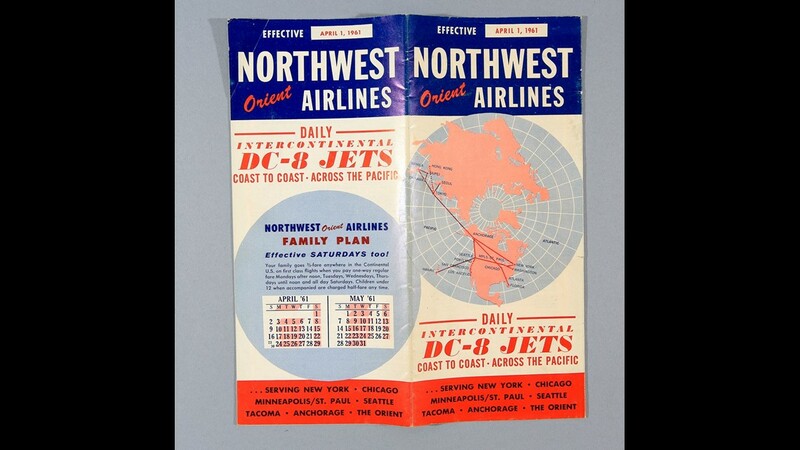 Northwest Airlines introduced the Boeing 377 Stratocruiser in 1949. 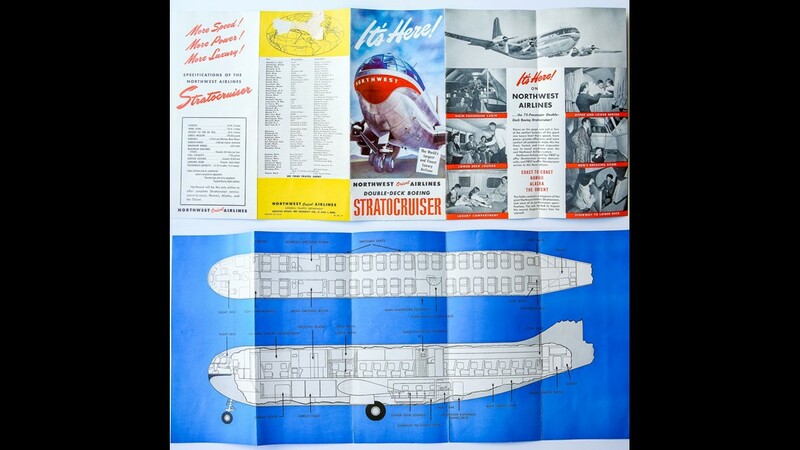 This introduction brochure shows the original cabin configuration of the double-decked airplane. 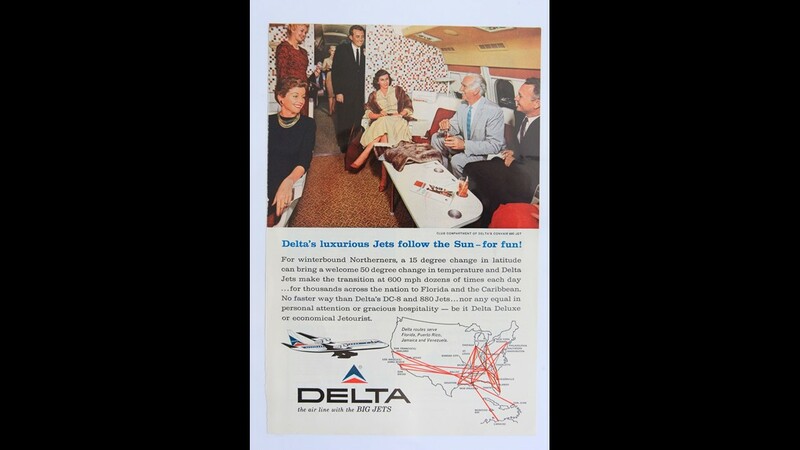 From 1951, a Delta Air Lines ad featuring the airline's southern-U.S. operations and the Douglas DC-6. 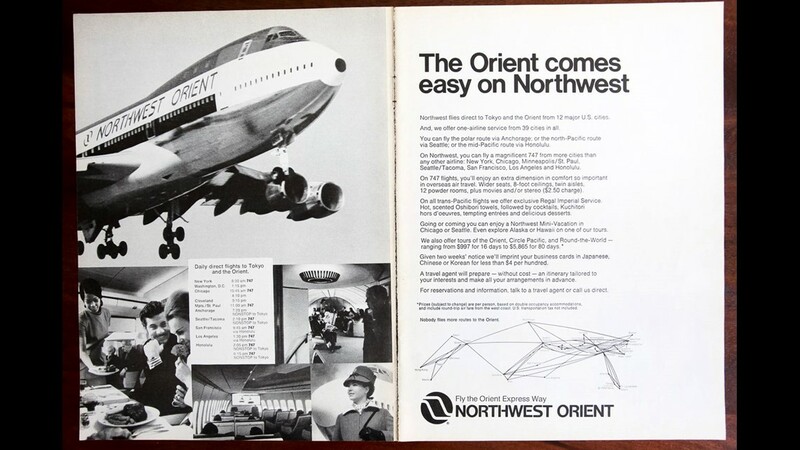 Northwest Orient added the 747 in the early 1970s, running the jet on number of routes across the domestic U.S. and abroad. 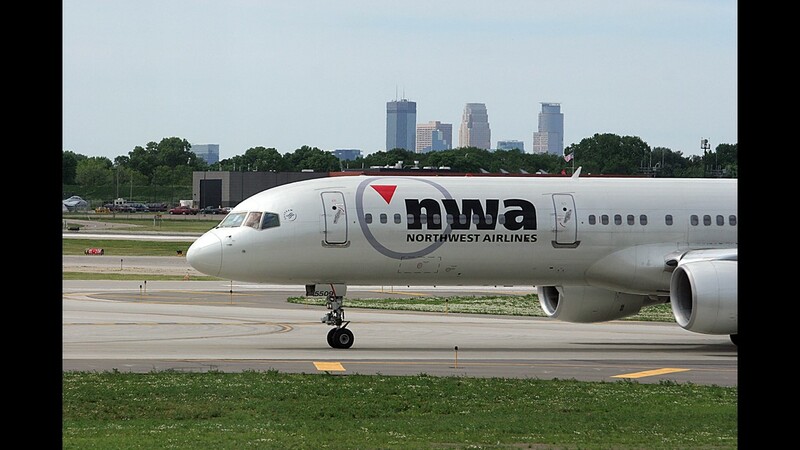 A Northwest Airlines jet is shown at Minneapolis/St. Paul International Airport on May 30, 2006. 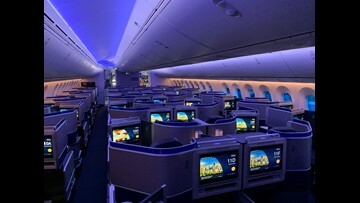 An undated photo of a Delta Air Lines Boeing 747. 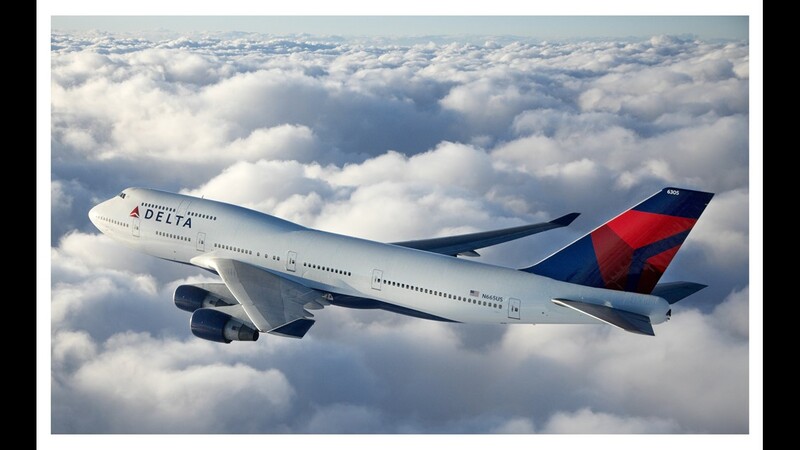 Delta has since retired the 747 from its fleet. 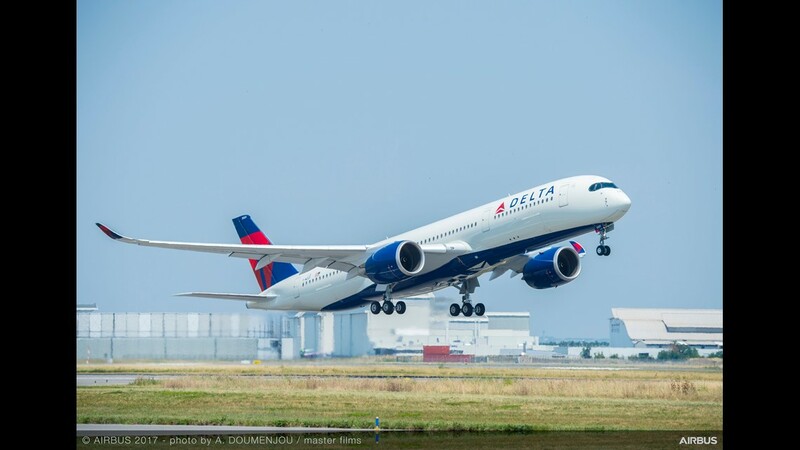 One of Delta's first Airbus A350s is seen in flight in this undated photos. 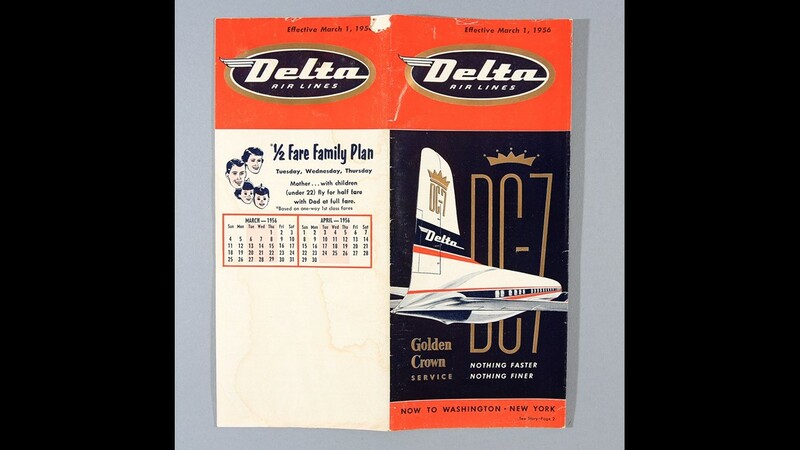 Delta Air Lines rolled out its Golden Crown service in 1954 aboard Douglas DC-7 aircraft. 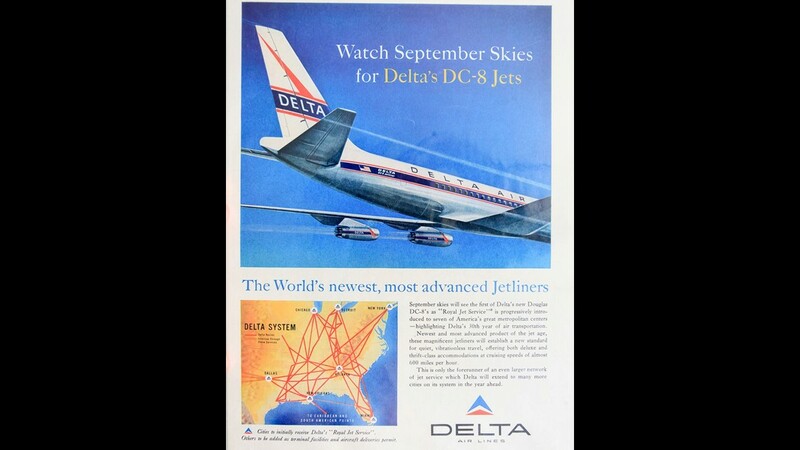 The airline was technically Delta C&S at the time, after merging with Southern Air Lines. This ad is from 1954. 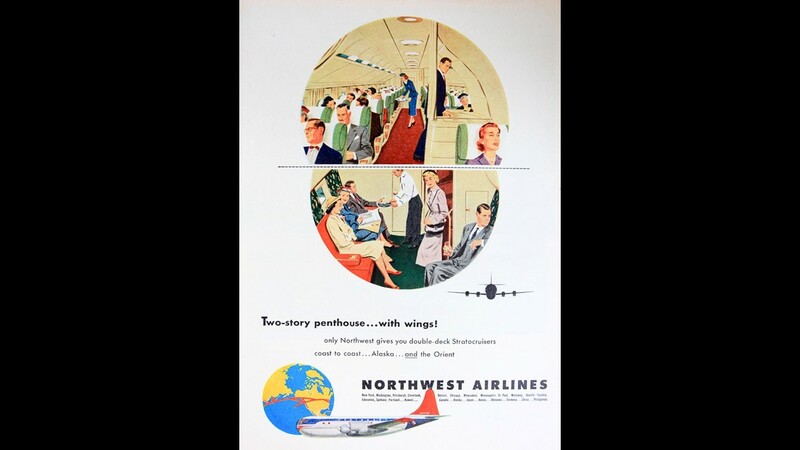 Northwest Airlines introduced the Boeing 377 Stratocruiser in 1949, flying them domestically at first and then later to Asia in the mid 1950s. This is ad is likely from at least 1952. Northwest Orient AIrlines added the Lockheed L188 Electra in 1959 until 1972, the largest turboprop the U.S. produced. 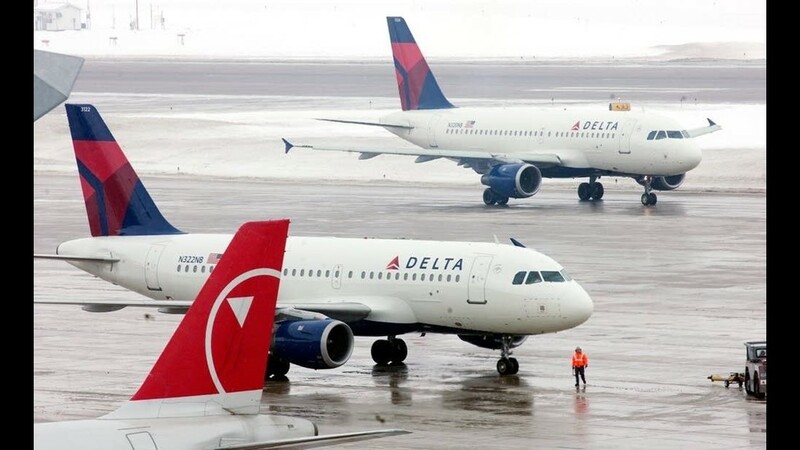 A Northwest plane takes off as a Delta plane sits at the gate at the Salt Lake International Airport on April 15, 2008. 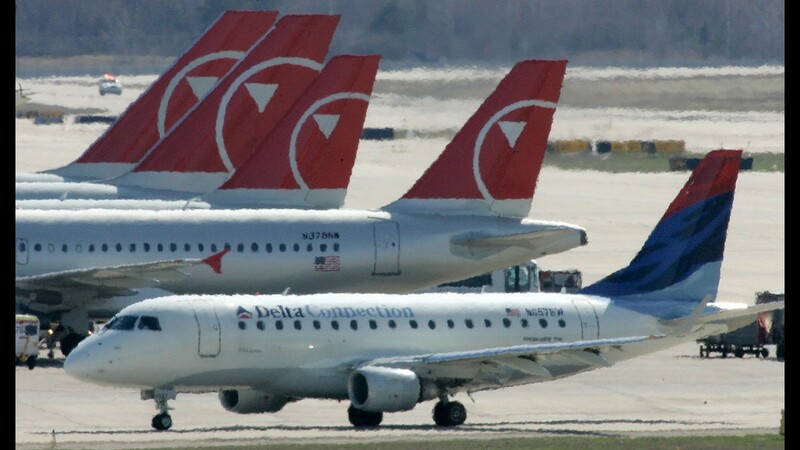 Delta Connection flight taxis past Northwest Airlines aircraft gated at Detroit Metropolitan Airport on April 14, 2008. 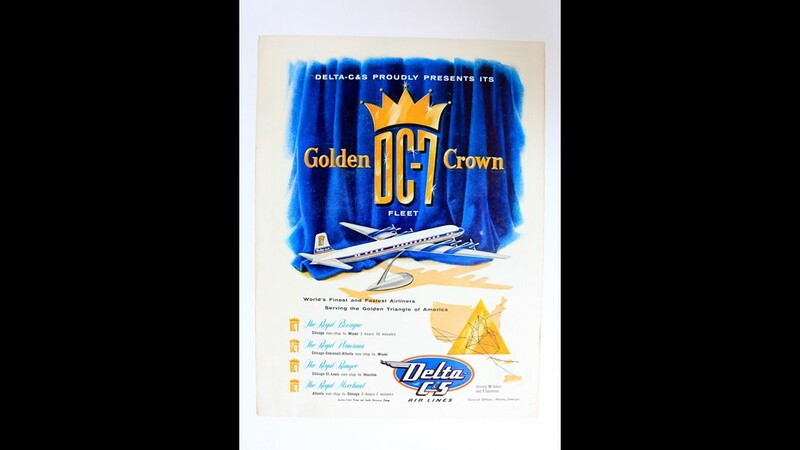 Delta Air Lines rolled out its Golden Crown service in 1954 aboard Douglas DC-7 aircraft. 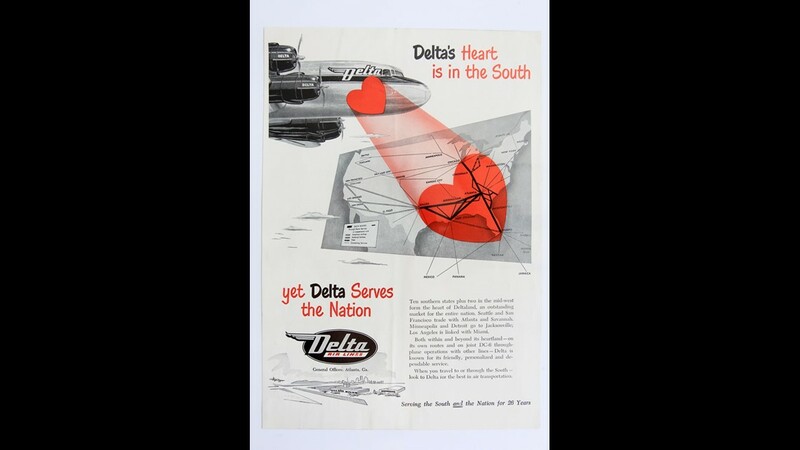 The airline was technically Delta C&S at the time, after merging with Southern Air Lines. 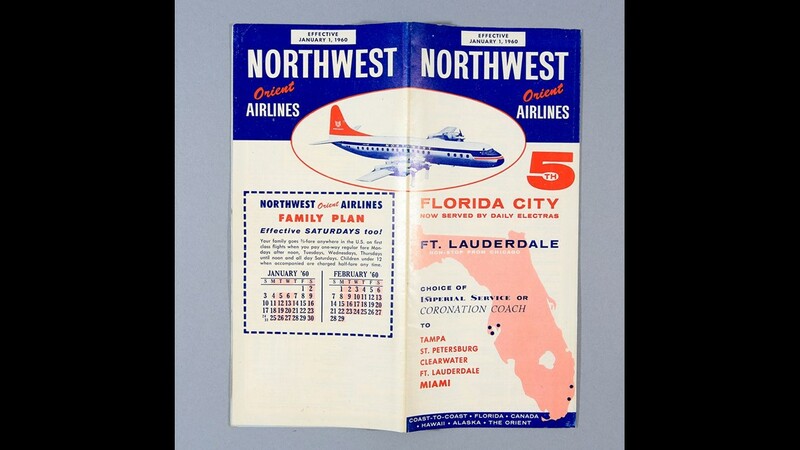 This route map is from 1956. 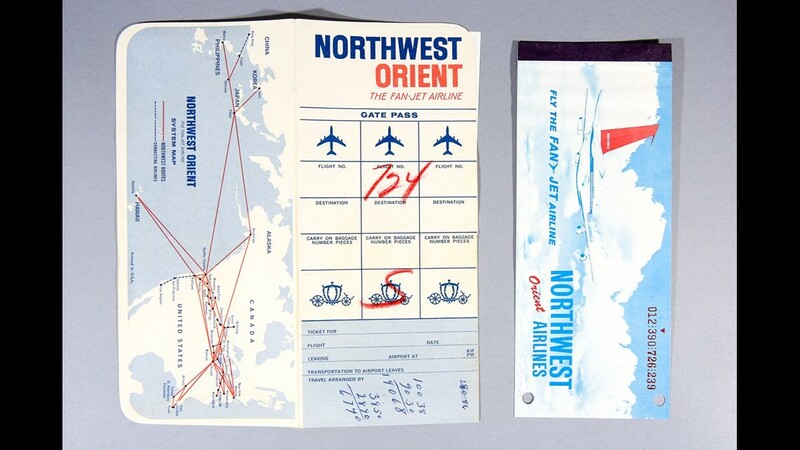 From the early 1960s, a Northwest Orient ticket jacket and ticket bunch. 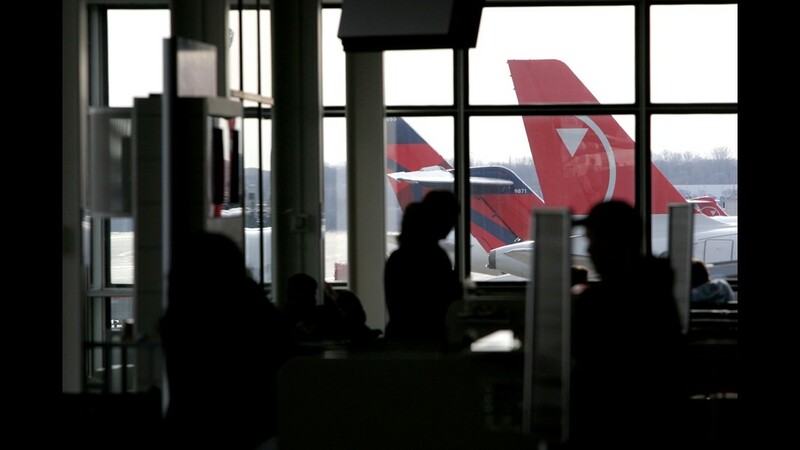 Delta and Northwest airlines tails are seen from inside the terminal at the Minneapolis/St. Paul airport in an undated photo provided by Delta. 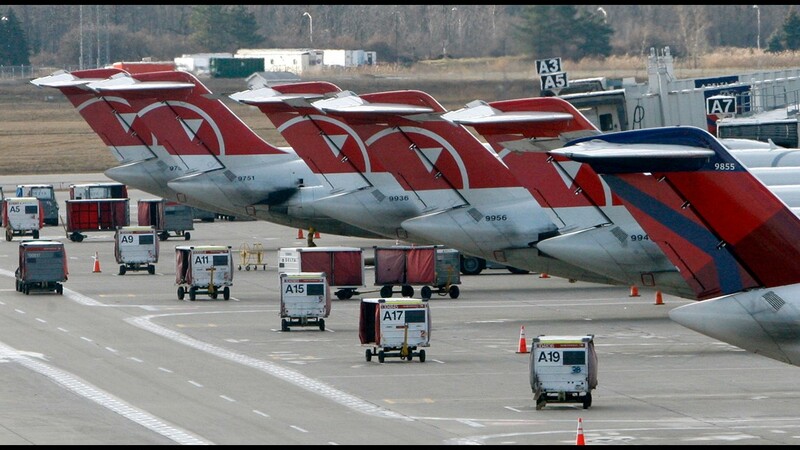 A Northwest Airlines aircraft taxis from the gate at Detroit Metropolitan Airport on May 31, 2007. 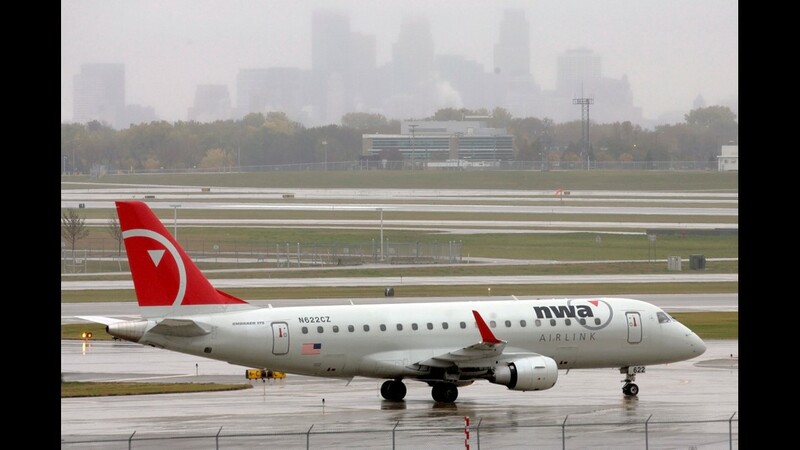 The Minneapolis skyline rises through the rain as an arriving Northwest Airlines jet taxis at Minneapolis-St. Paul International Airport Friday, Oct. 23, 2009. 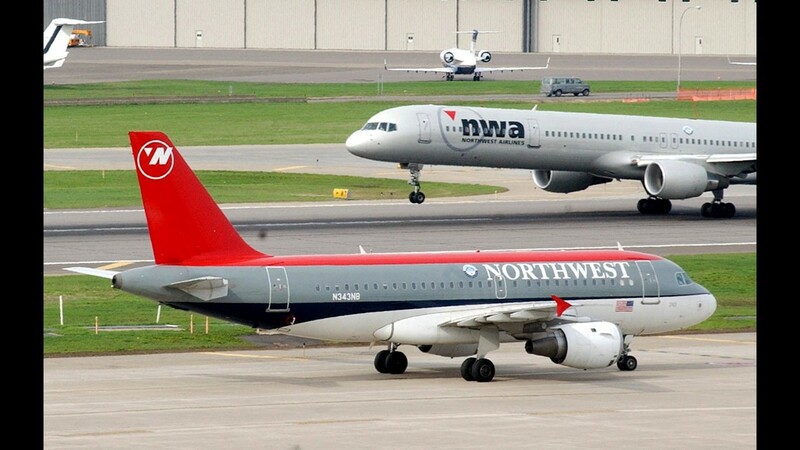 This photo from April 21, 2005, shows a Northwest Airlines plane taxi as another lifts off at Minneapolis-St. Paul International Airport.